In the days preceding Melanie Lundquist’s 58th birthday, her husband Richard suggested they go somewhere fun. Somewhere could have been anywhere. Richard Lundquist is president of Continental Development, which has developed, and today manages over four million square feet of commercial space, most of it in the South Bay, but also the Intercontinental Hotel in San Francisco. His wife said she’d like to meet with the mayor of Los Angeles on her birthday. That was in 2007. In 2004, the Lundquists had hosted a fundraiser at their Palladian home on a Palos Verdes peninsula hilltop for Democratic Party presidential nominee John Kerry. 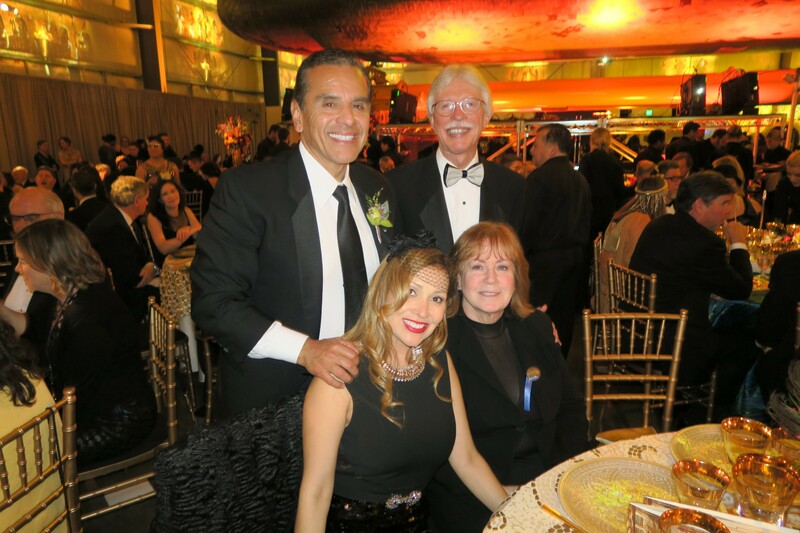 One of the guests was Los Angeles City Councilman Antonio Villaraigosa, who had made an unsuccessful run for Los Angeles mayor in 2001. “He called me the day after he was elected,” Melanie Lundquist recalled during a recent interview. The new mayor told her he hoped to take over the Los Angeles Unified School District, as New York City Mayor Steve Bloomberg had done with New York’s school district in 2002. But Villaraigosa’s school takeover was resisted by LAUSD and blocked by a provision in the State constitution. As a compromise, LAUSD agreed to cede control to the mayor 10 of its worst performing schools, in Boyle Heights, South Los Angeles and Watts. The purpose of the birthday meeting in February 2007 was to discuss how to fund Partnership for Los Angeles Schools, the non profit formed to manage the mayor’s schools. Also attending the meeting were the mayor’s Deputy for Education Ray Cortines (a former and future LAUSD superintendent) and Marshall Tuck. Tuck was a 34-year-old UCLA and Harvard Business School graduate who spent two years with Salomon Brothers bank before deciding he wanted to work in education. He then spent a year teaching math in Zimbabwe and in 2002 became president of Green Dot Public Schools, with whom he helped establish 10 charter schools in low income areas of Los Angeles. Tuck had resigned from Green Dot to become CEO of Partnership for Los Angeles Schools. “We made them jump through hoops to explain their vision and how the dollars they wanted would be spent. Philanthropic dollars are near and dear and I’ll make Lincoln scream bloody murder if that’s what it takes to be sure the money is well spent,” Lundquist said. After seven months of meetings, the Lundquists promised $50 million over 10 years to the Partnership schools. The contribution would work out to $650 for each of the 14,500 students, above and beyond the roughly $11,000 per student the district received from the state. In January of this year, an independent report by Public Impact found graduation rates at the Partnership’s five high schools had jumped from 27 percent in 2007 to 80 percent in 2017 and that 47 percent of their seniors were accepted into four year colleges. Based on those findings, the Lundquists committed another $35 million over the next 10 years to the Partnership schools. Their $85 million total is the second largest contribution ever made by private citizens to public K-12 schools in the U.S. Facebook’s Mark Zuckerberg gave $100 million to the Newark public schools in 2010. Last month, the Lundquists hosted another political fundraiser in the hopes of boosting California to its pre Proposition 13 heights, statewide. 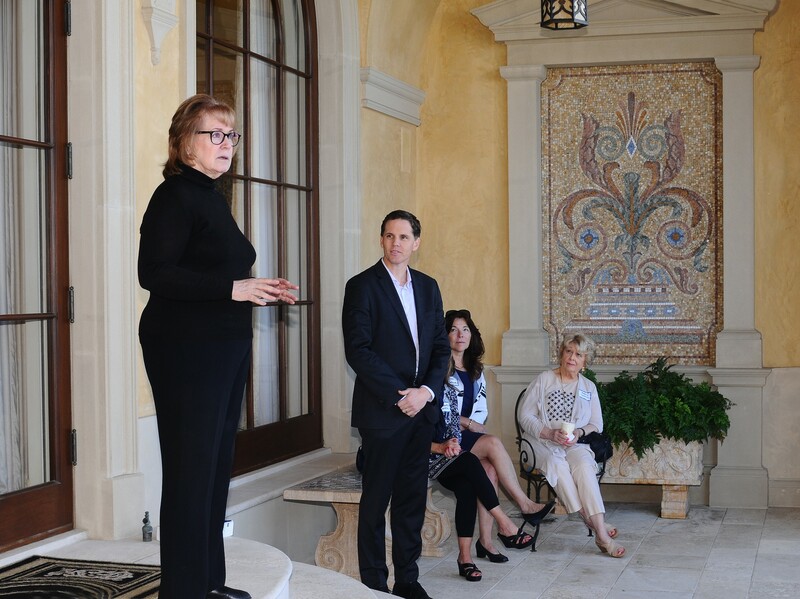 The fundraiser was for Marshall Tuck, who is making a second run for State Superintendent of Schools. In 2014 he received 48 percent of the vote in losing to incumbent Tom Torlakson, who terms out this year. “I want to introduce you to the son I never had,” Melanie Lundquist announced to two dozen well heeled guests from the top of the steps of her backyard patio, overlooking the Santa Monica Bay. Tuck, who looks younger than his 45 years, began his remarks with an enraging recitation of California school statistics. “We have 6.2 million kids in public schools. Half can’t read at grade level. “We are the wealthiest state in the nation, the tech capital of the world, and our fourth graders are dead last in science among the world’s industrialized nations. We recently fell behind Poland and Vietnam. “California K-12 students were 47th academically in the country 25 years ago. Now, they are 44th. We’ve been stuck at the bottom for two-and-a-half decades. “In 1977, California schools were the seventh highest funded in the country. Today we are 41st. “The problem is not the teachers and not the principals. The problem is Sacramento. Governor Brown made the environment a priority. This year, he signed a bill requiring California to obtain 100 percent of its electricity from renewable sources by 2045. “I plan to make education the state’s top priority,” Tuck said. “This gift is evidence of the fact that Marshall knows how to fix our schools and will fix our schools when we elect him Superintendent of Schools. This election is one of the most critical mid-term elections in the country, because as goes California, so goes the nation,” Lundquist said with uncharacteristic emotion..
“John Zoeger, my science teacher was able to expose us to so many wonderful things because he had resources. Jack Patton, my math teacher did the same. They were mentors, whom I stayed in touch with long after high school.” Lundquist said. “Today, LAUSD teachers spend an average of $1,000 a year of their own money on school supplies,” she said. Lundquist went on to the University of Southern California, where she earned a masters in speech pathology and a certificate in special education. Her husband also attended USC, but they met after college, in 1989, while living in the same Redondo Beach apartment complex. Lundquist traced her enthusiasm for Tuck back to her first meeting with him in Mayor Villaraigosa’s office. “Richard and I walked out of that meeting and looked at each other and said, ‘Wow.’ Marshall was the youngest person in the room, but he had the vision. He took charge of the Partnership plan and put together a stellar organization. “The task was daunting. People are always resistant to change. It can be heartbreaking. But Tuck proved the Partnership model is scalable and can be replicated in school districts across the nation,” Lundquist said. Los Angeles Times columnist Steve Lopez reported her reasoning for supporting LAUSD schools in a January 2018 column. “Richard and I like to go where most people don’t. We could have given $50 million to USC but they’ve got deep pocket donors all over the place,” Lopez quoted Lundquist as saying. Giridharadas argues plutocratic philanthropy does more harm than good because its patchwork solutions stave off systemic social change. The Lundquists’ largess puts them squarely in line with Giridharadas’ gunsite, though he does not write about them specifically. The couple was number 30 on Forbes magazine’s list of the top 50 philanthropist in the U.S. in 2017. They donated $75 million to charity last year. Over the past 17 years the Lundquists and Continental Development have contributed over $500,000 to California political campaigns, according to OpenSecrets.org. Lundquist is sensitive to this criticism and slightly exasperated by it. She pointed out that the Partnership schools are public schools taught by union teachers and that Tuck supports ending Proposition 13 protection for commercial property, which could force her and her husband to pay millions of dollars more annually in property taxes. “Philanthropy, in my mind, is a form of self taxation,” she said. She stressed that she and her husband have made decades long commitments to education and health care precisely because they recognizes the need for systemic social change, including changes to political financing. “The way politics is funded is unacceptable. The people with the most money win,” she said. Arguably, the most convincing evidence of the Lundquists’ commitment to change is their indifference to how they will be remembered. Or not remembered. Upon their passing, they want their names removed from the building they have endowed to make room for the names of new donors. They have also directed the Lundquist Family Foundation to disburse all of its funds within five years of their passing. “The further a foundation gets from its founders, the people who put the money in, the greater the tendency is to forget the founders’ intentions and to move on to something else,” Lundquist explained.